Looking for an easy appetizer for game day or your family potluck? 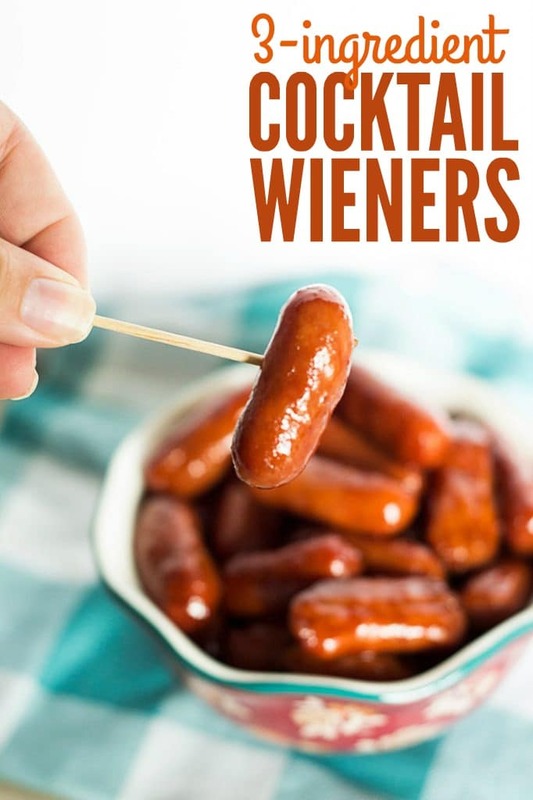 These 3-ingredient cocktail wieners are always a big hit. Seriously, it’s the easiest thing that you could make, and people go crazy for them. You’ll never have leftovers to bring back home, which is extremely helpful for me since I forget them, anyway. If you know me, you know that I love family get-togethers. I think we don’t have enough of them these days. Now, before you call someone to analyze my brain, hear me out. We’re all leading such busy lives that it’s rare now to be able to come together even with our nuclear families for dinner, much less our extended families. The less we do it, the less we want to do it. And that’s unfortunate, because kids need to get to know their cousins, and adults need “the village” to help raise their children. I say let’s get together more often. Family reunions? Sign me up! Dinner for Grandma? I’ll be there with bells on, as long as work allows it. Enjoy your family. Enjoy the memories you make. And most importantly, (okay, not most importantly… but still pretty important) enjoy the food. 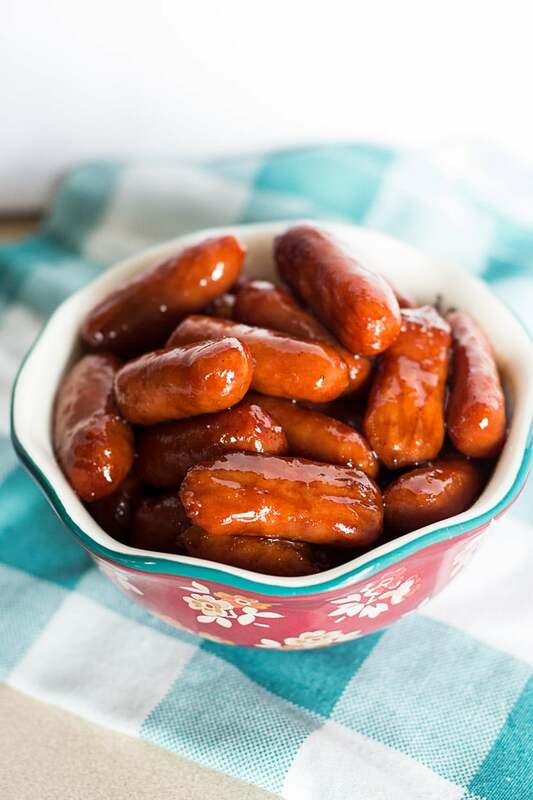 Namely, enjoy some easy crock pot cocktail wieners that taste like they require much more effort than dumping the ingredients into a slow cooker for a few hours. Step 1 – Open and pour both packages of Lit’l Smokies in Crock Pot. 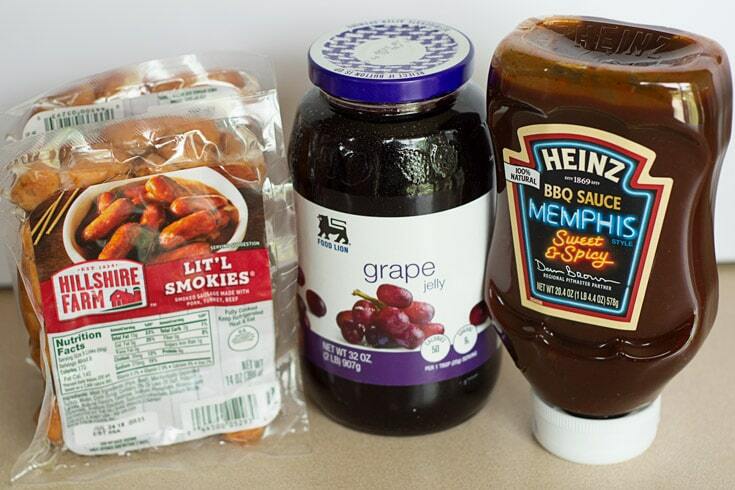 Step 2 – Whisk together the BBQ sauce and grape jelly in a medium mixing bowl. Step 3 – Cover Lit’l Smokies with BBQ sauce and grape jelly mixture. Stir to combine. Step 4 – Cook on high 2-3 hours or low 4-5 hours. That’s it! Your dish is ready to go. If you want to jazz up your cocktail sausages, try adding about 1/2 cup of brown sugar and a couple tablespoons of yellow mustard to the mix. It adds a little more sweet/sour flavor to it, and that’s how my mom and sisters make them. I find they taste *almost* the same, however, with just these 3 ingredients, so why make things harder than they need to be? This easy appetizer recipe for 3-ingredient cocktail wieners will be your go-to food for game day and potlucks. 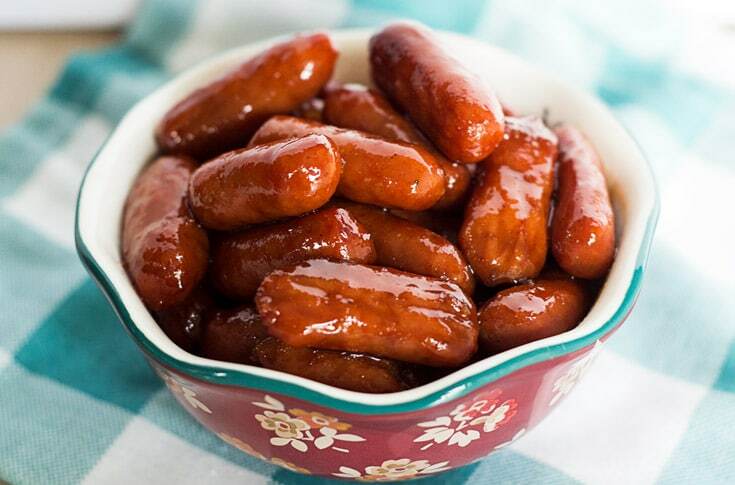 You can't go wrong with these mini bbq sausages! 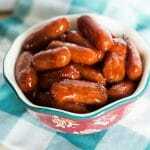 Add cocktail wieners to Crock Pot. Whisk together grape jelly and BBQ sauce in a medium bowl. Pour sauce over cocktail wieners, and stir to combine. Looking for more man food? 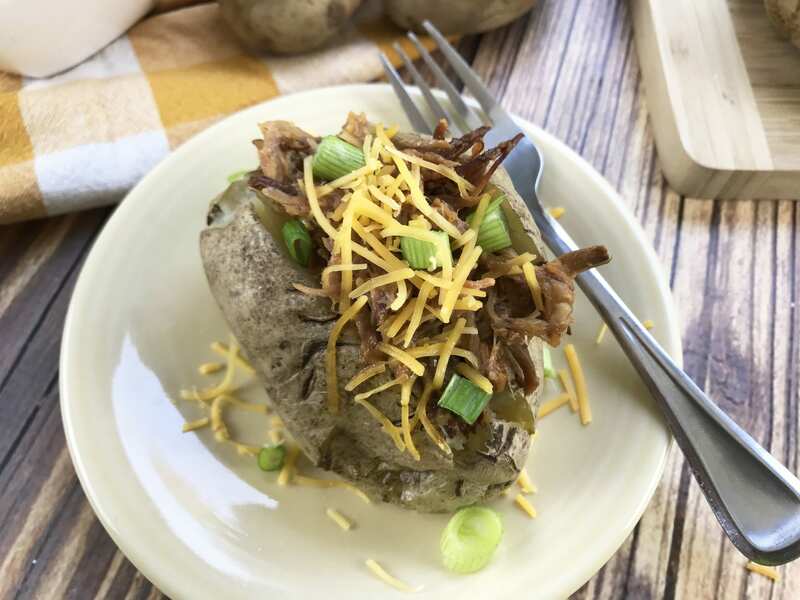 Check out these BBQ Pulled Pork Baked Potatoes! Get updates from our latest Total Dadass posts.